An all natural Habanero & Cayenne hot sauce with mustard & cucumbers. There's a hint of Caribbean flair that pairs great with chicken and seafood. Iguana Gold is not easy to find in the rural communities of Alberta so I was very happy to discover it is at least available somewhere in Canada. If you've never had it I can without hesitation recommend this hot sauce -- not too hot, has a nice flavour by itself, stellar on eggs! 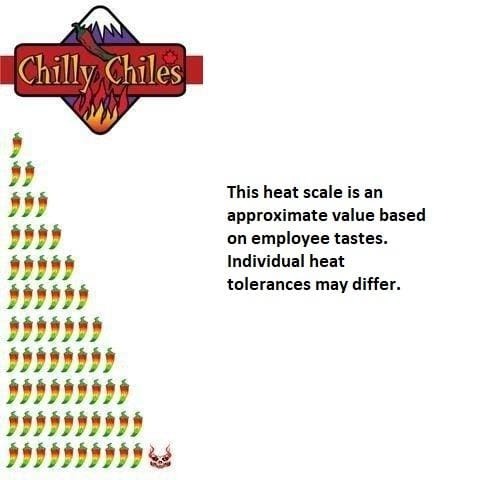 Chilly Chiles system is incredibly efficient, I couldn't believe the speed of delivery. 5 stars for the product (6 if they had 'em), and 5 stars & 3 cheers for Chilly Chiles! Quick shipping, amazing packaging! Awesome sauces! Highly recommend! Awesome sauce. Hard to find in BC.